Let’s say you’ve been brewing beer in your basement for years, gradually evolving from your first attempts -- funky, skunky swill -- to a decent grog and, finally, to a delicious, full-bodied brew that refreshes and satisfies. After thousands of hours of work, you’ve found it: a secret recipe that’s going to make you as famous as Sam Adams and as rich as Sam Walton. You call it Liquid Gold, and you begin shopping it to cool taverns and restaurants. They love it too. Soon, you’ve built a nice list of customers. But there’s a problem: You need to produce Liquid Gold on a larger scale. Iffy Brewing Company. These guys have a large facility and help beer companies with their brewing. But they also carve out a portion of their capacity to brew their own ales and lagers, which aren’t nearly as tasty as Liquid Gold. The Iffy guys insist they’ll never compromise your trust. But you know they might compete for shelf space with Liquid Gold. And, boy, would they love to get a hold of that customer list you’ve built up. When Liquid Gold becomes a sensation, the Iffy guys are going to notice. They’ll see their brews losing out. Meanwhile, if you work with them, they’ll know your formulas, your secrets, your distribution map, your customers, your ship-to’s and, of course, what makes your beer so good. You’ll be left to wonder whether Iffy might be tempted to “borrow” some of your ideas and secrets. Royal Brewing Company. These guys have five facilities, strategically situated around the country. They have economies of scale, get great deals on raw ingredients and have wonderful logistics. They’ve been helping companies like yours for almost 80 years. While it would probably make short-term economic sense for them to make their own products, they refuse to do it. Instead, they focus on the long game of being the silent, behind-the-scenes, trusted manufacturing partner to other companies. Over the years they’ve been trusted with more than 5,000 secret formulas, and they’ve always honored that trust. Choose Royal as your partner and when Liquid Gold takes off, they congratulate you -- and help you make more. So which company are you choosing for Liquid Gold? Royal, or course. 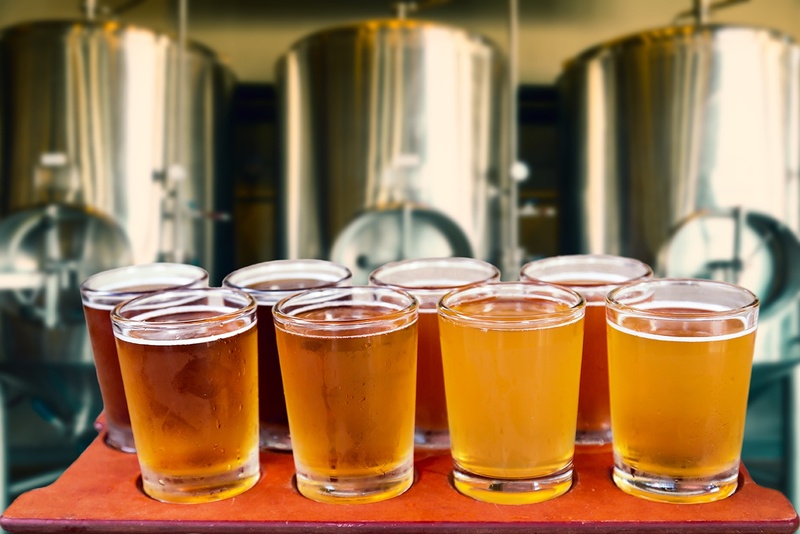 Instead of beer, Royal Chemical brings the same long game and trustworthiness to chemical-makers in industrial and institutional cleaning, oil & gas, agrochemical, metal cleaning and more. We do not make, brand or market any of our own products. We refuse to have a product line. This is intentional. We partner with you. We don’t compete with you. Instead of making our own products, we focus on your success, without distraction. That way, your success becomes our success. We obsess about keeping your intellectual property, your customer lists and your other secrets confidential. We lock your formulations and batch tickets in our safe. We make sure only trusted, trained and long-tenured employees – as few of them as possible – are making and testing batches. We don’t mess around. Our trust and reputation cannot be compromised, because they are sacred. They are our most valuable business assets. See what Royal Chemical can do for you and your chemical version of Liquid Gold. Contact us for chemical consultation.